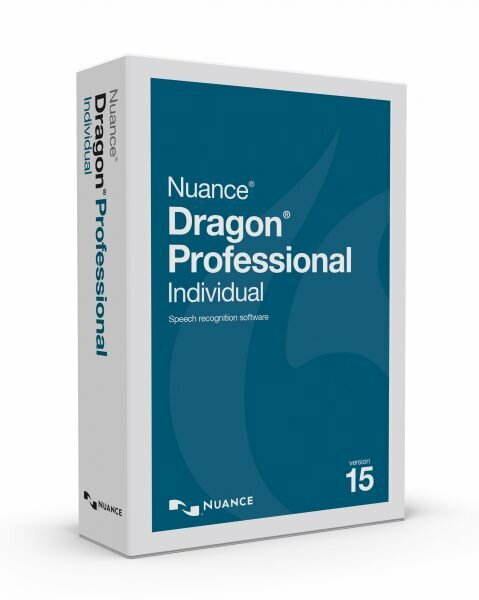 It wasn’t that long ago that Nuance® released Dragon® Professional Individual v14, changing up their naming convention to Individual and Group—perhaps to make it simpler to determine which edition to purchase. To that end, both Dragon Naturally Speaking Home and Premium were discontinued at that time. Since that new product line was established, Nuance began developing the next version of their speech-to-text engine, featured in this latest release, Dragon Professional Individual v15. In this article, we’re going to discuss many of Dragon’s new features and improvements, including that engine. But before we dive in, let’s talk a little more about related editions of the software. What About Dragon Legal Individual v15? In conjunction with the professional edition, Nuance released Dragon Legal Individual v15. All of the information in this article applies to the legal edition as well—unless otherwise specified. In general, the two editions differ only on the matters of legal case citation, formatting, and vocabulary terms. To wit, if you have a Legal Individual v15 license, you can install the application from the same disc as Professional Individual v15. Here are the minimum requirements for installing this software. If your computer doesn’t meet these specifications, there’s a possibility that the program won’t install. If you don’t know how to find this information on your computer, see this helpful article. Unless you have one of the Windows® operating systems below, you won’t be able to use version 15. Remember, you cannot install this application on the Mac® OS X platform. Nuance has a completely different application for Mac. You’ll need a 2.2 GHz Intel® dual core, or an AMD processor that matches this requirement. The “2.2 GHz” number refers to your processor’s clock speed. If your processor isn’t that fast, you may still be able to use Dragon, but the recognition process will be slower. If you’re installing from a disc, you need at least 8 GB of space on your hard drive. If you have a download, you’ll need 16 GB—for both the installation package and the installed software. Here’s where Nuance raised the bar. For v14, 2 GB was allowed for 32-bit operating systems. With v15, you need at least 4 GB of RAM across the board. If you use multiple applications at the same time, we recommend 8 GB of RAM. If you need some assistance with installing or upgrading Dragon Professional Individual v15, we’d love to help you. Consider a Train Me membership for installation services, a year of support, and three individual training sessions. As you probably know, you can purchase a discounted upgrade of v15—so long as you have a qualified existing version of Dragon to upgrade from. So, let’s talk a little bit about what your upgrade process might look like. In many cases, you will have access to a smart upgrade. This essentially means that you can install the new application over a previous version. Where smart upgrades are not available, you’ll have to uninstall the previous version of Dragon before installing v15. Before making a purchase, you’ll need to find out which version of Dragon you currently have installed. Once you have that information, match your current version and edition to the two columns on the left. If there’s no match, you will not be able to upgrade. Otherwise, take note of the application(s) you can upgrade to, and whether or not they are smart upgrades. Please note: For version 12 and 13 upgrades, you’ll need the serial numbers for both DPI/DLI v15 and the old version of Dragon. If you don’t know where to purchase your v15 upgrade, let us help you find a reseller in your area. Be sure to provide your contact information, including zip code, so that we can partner you with a local sales consultant. If you have an existing profile from an upgradeable version of Dragon, you may be able to upgrade that profile for use in DPI/DLI v15. The only exceptions are profiles from version 12, which will not upgrade. If you have any problems, or are using a version 12 profile, export your commands and custom vocabulary words, and then create a new profile in version 15. You can import those words and commands into your new profile, once it is set up. In general, it is a good idea to export your Dragon profile before you upgrade. That way, if anything goes awry, you still have access to your legacy profile information. In order to use Dragon speech recognition in an EHR/EMR, you will need to purchase Dragon Medical Practice Edition. If you’re ready to get started with Dragon Professional Individual v15, let Certified eSupport save you the time and effort of installation and training. Our technicians provide the expert level of service you need to quickly and successfully implement speech recognition on your computer. Now we can dig in to the good stuff. Let’s review some of the changes included in version 15. Perhaps the biggest improvement made to is the new speech engine. Just as a car’s engine helps determine the overall driving experience, Dragon’s speech engine helps determine its capacity to accurately recognize your words and transcribe them into documents, emails, web searches, and more. Nuance designed their speech engine to work off of the principal of deep learning, which relates to artificial intelligence. What that means for you is that Dragon Professional Individual v15 will recognize your speech with higher fidelity. You should expect to see up to a 15% improvement in accuracy compared to version 14. If you have an accent, the new engine detects your speech inflections while you are talking. This allows v15 to make changes on-the-fly and improve your accuracy. Finally, DPI/DLI v15 changes its picture of your voice as you speak. It is training itself to understand you while you’re in the middle of a letter, email, or web search. This means that the application can provide real-time updates to your profile, translating to more accurate speech recognition results. If you’re familiar with the Nuance PowerMic, you know it used to be restricted to Dragon Medical use only. Thankfully, from Dragon 14 Group forward, the Nuance PowerMic III is officially supported. This is a significant add, as all of the programmable functionality of the buttons is built-in to your Dragon options menu. Please note that the PowerMic II is not supported in v15. Adding and/or choosing a microphone is now more straightforward and doesn’t require training. Dragon v15 now supports WordPerfect X8 and Skype for Business. And, in case you missed it in v14, Nuance announced support for Office 2016 and Office 365. Naturally, that applies to version 15 as well. There are some valuable revisions to format recognition. Nuance focused on some of the irregular elements you need to dictate, including numbers, email addresses, hyperlinks, and place names. Your accuracy should improve when dictating these items. Dragon will check your web browser for the appropriate plug-in/extension, and let you know if it’s not installed. A licensing module allows you to manage your Dragon Anywhere subscription, or upgrade to v15 (with the appropriate serial number). There was a redesign of the options menu, putting elements together in a more user-centric fashion. If you have a Microsoft® Surface Pro tablet, or other Windows touchscreen device, v15 has been updated to work more effectively with those platforms. You’ll also see some nice adjustments to the transcription process. For instance, you no longer have to train a digital audio recorder source—whether for your voice or someone else’s. Please note that if you use DPI/DLI v15 to transcribe other users’ voices on a regular basis, those users will each need a license too. They’ve added the ability to transcribe files from a smartphone. This is a big win if you dictate on your mobile. If you plan on transcribing someone else’s voice often, the help menu will instruct you on how to add a new profile for them. After transcription, Dragon will now add missing punctuation to your text.